The Winning Pitch – Trusolutions Takes Home the Prize! Trusolutions kicks the 2018 competitive season off. Winner of the Jan 2018 757Pitch . 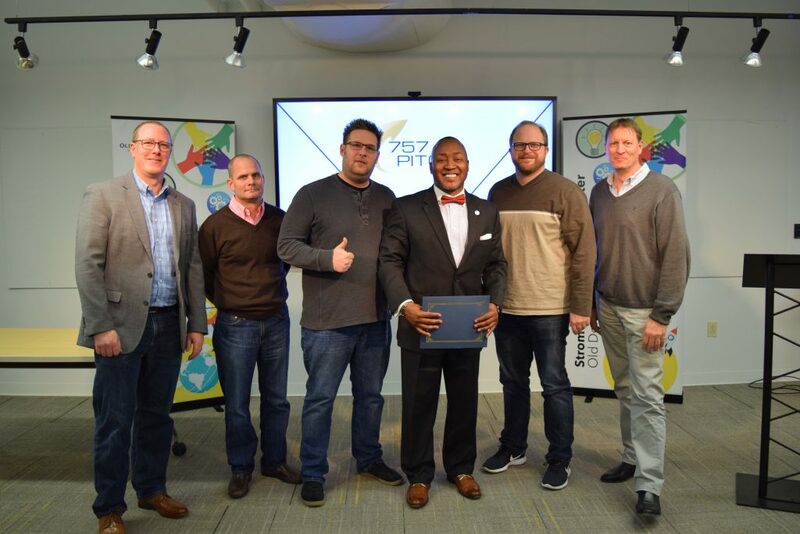 Trusolutions led the field of five competitors to take home $757 and up to $10K in services provided by ODU’s TempO program. TruSolutions, LLC is a minority-owned and service-disabled veteran-owned small business. They are a logistics solutions provider for superior tactical and medical equipment, specialized apparel along with consulting services to ensure operational efficiency and readiness through our partnerships and supply. Their approach to wearable hydration system promises to rapidly scale into a a market leader. Experience the unabridged pitch with judge Q & A. Congratulations TruSolutions as we wish you continued success in your business endeavors! Got a great idea that you want to accelerate to the next level – apply to pitch.